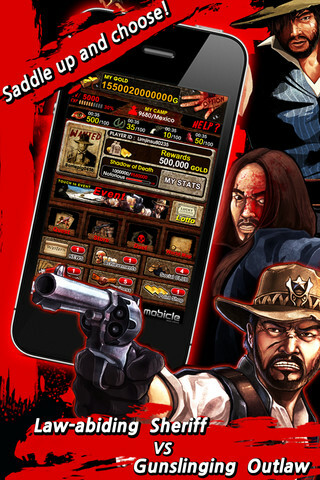 Bloody Western, developed by Mobicle, is a cool customizable iPhone game that lets you live out your gunslinger fantasies. 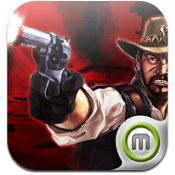 Whether you side with the outlaws or the lawmen, you can totally immerse yourself in this slick little game. Once you pick a side in this epic battle, you can further define your character. It’s not good vs. evil: there are shades of grey to each character. For example, sheriffs can be luxurious, righteous, or violent. Violent classes have a better combat skills, with luxurious classes being better at stockpiling gold. 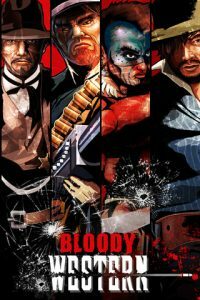 It gives a lot of texture to Bloody Western, and that’s before the game really even gets started. But there are some problems. First off, even with a great connection, expect the game to take 30-60 seconds to get past the title screen. Facebook login is recommended, but not required. 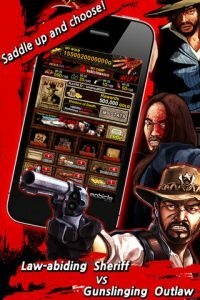 However, saving is seamless and more reliable once you log in with Facebook, which will be a turnoff for that vocal group of gamers who despise getting goaded into connecting all their games with their social media accounts. But the game screens themselves are rendered with serious panache. While the art is a bit inconsistent from character to character, the soundtrack more than makes up for it. And while the interface itself isn’t as dynamic as it could be, it’s still a lot of fun to go on quests to level up your character. And despite the complexity of the main screen, the excellent tutorial does a better job than most other games at breaking down the different options. 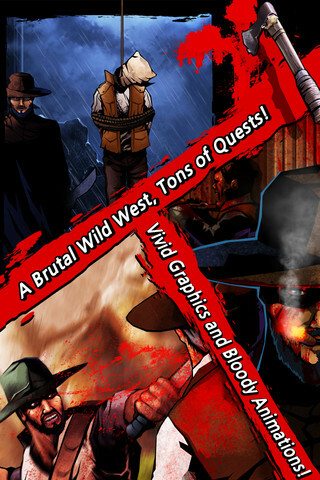 With the option to kill time gambling or by dueling with other players, there’s a lot to do in Bloody Western. 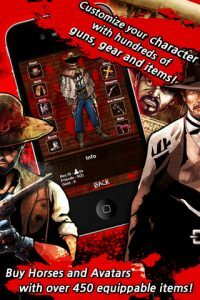 Solid voiceovers, plenty of Old West charm, and fully customizable characters, Western fans should give this free app a try. Bloody Westernis compatible with iPhone, iPod touch, and iPad. Requires iOS 4.0 or later.